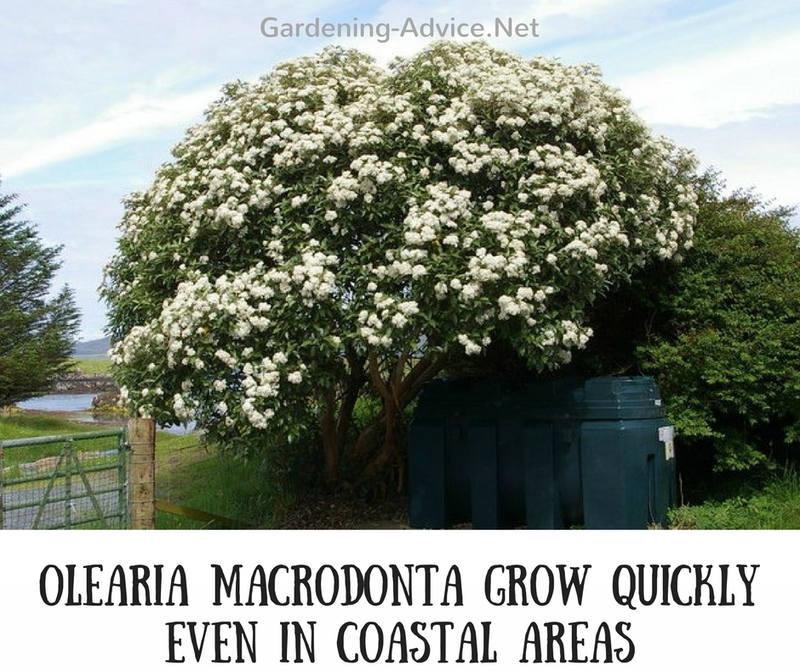 Fast Growing Hedges provide shelter quickly for exposed coastal gardens. 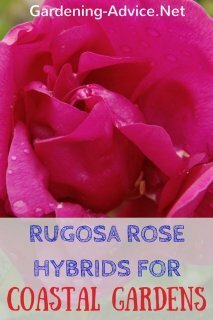 Not all hedge shrubs though grow quickly and are able to tolerate wind and salt spray. 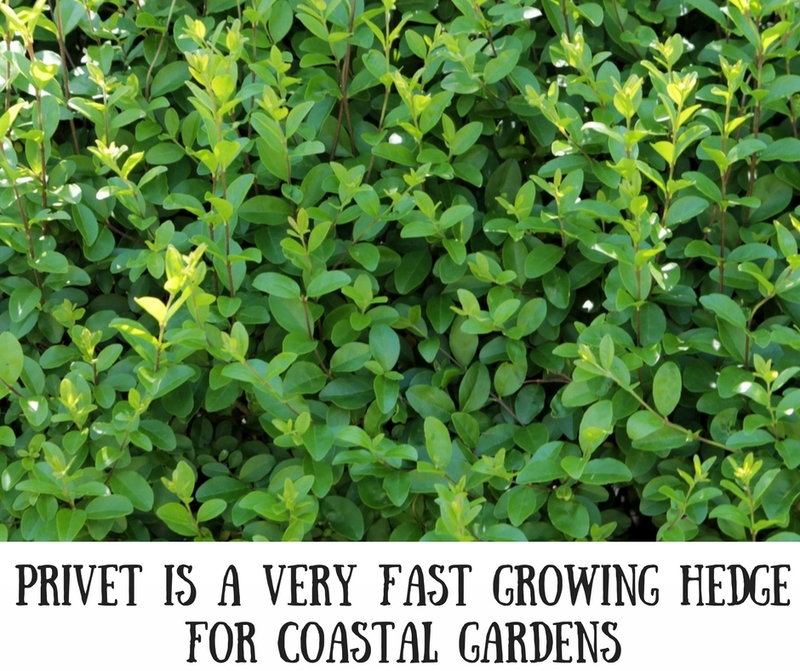 Privet, Olearias, and Griselinia are great choices if you need a quick growing hedge. We are all impatient when it comes to seeing a newly planted hedge mature and provide shelter and privacy. 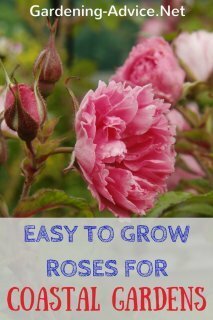 That is why most people look for quick growing plants that will grow to sizeable shrubs within two or three seasons. 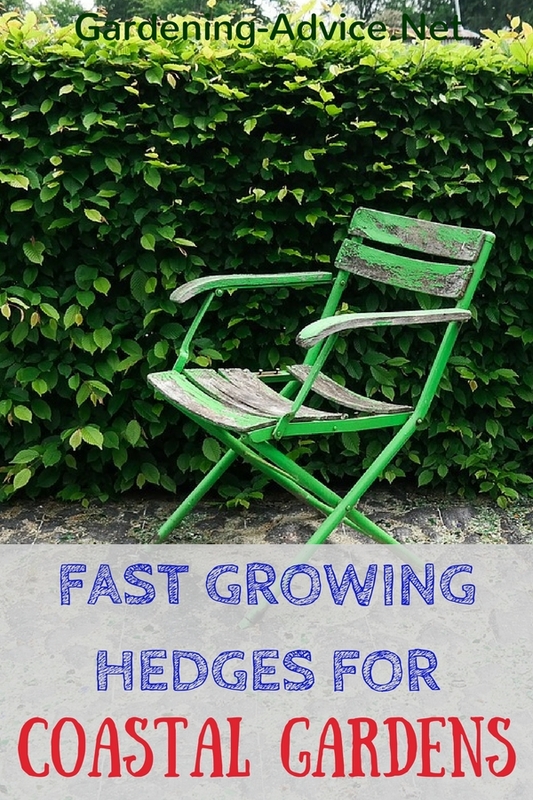 Before rushing into planting a fast growing hedge just think about the long-term downside of this: these vigorous hedge shrubs will need much more frequent and severe cutting than a slower growing hedge. Two or three trims per year might be necessary to keep them in good shape and of a manageable size. This evergreen hedge is very fast growing. Griselinia has light green leaves of oval shape. 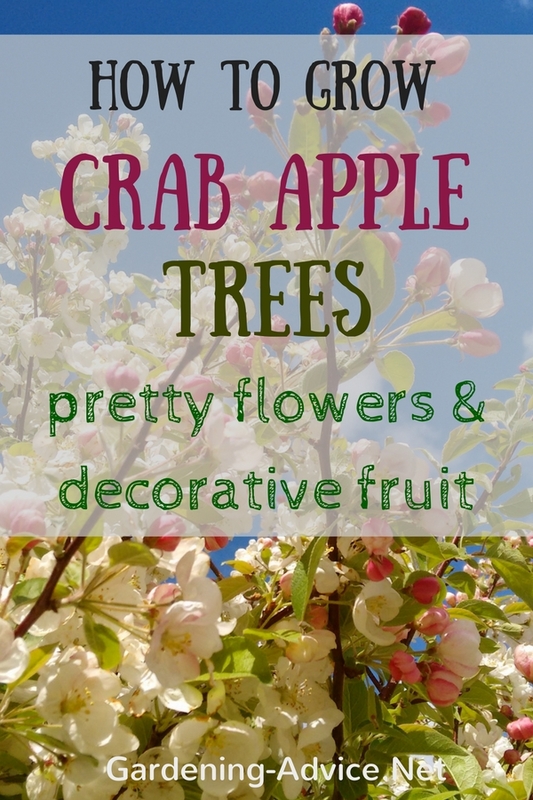 These shrubs can grow up to 8 m tall if not trimmed. Plant 2 ft apart for a solid hedge. 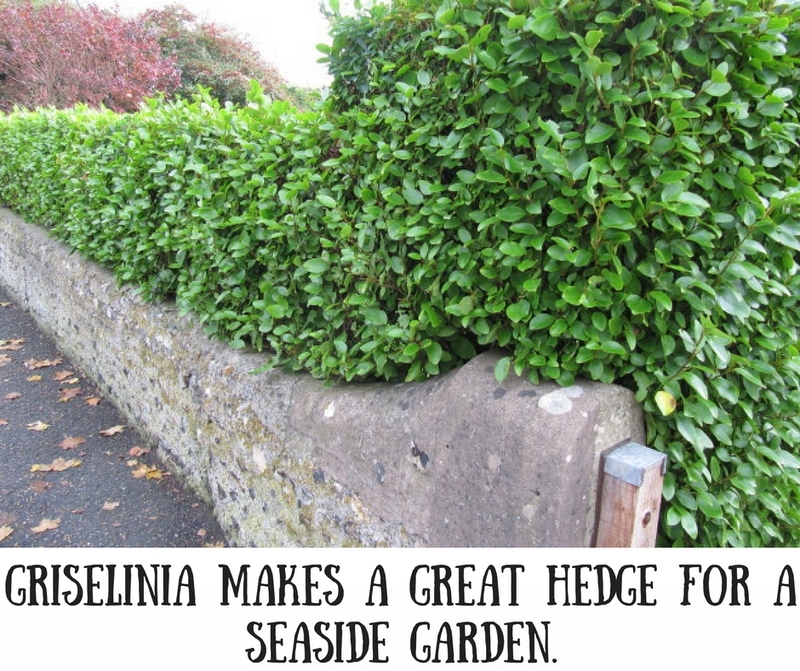 Griselinia makes a great hedge in a seaside garden. This vigorous evergreen shrub is often mixed up with a holly (Ilex) because of the slightly prickly leaves. The pretty white daisy flowers appear during the summer and are fragrant. 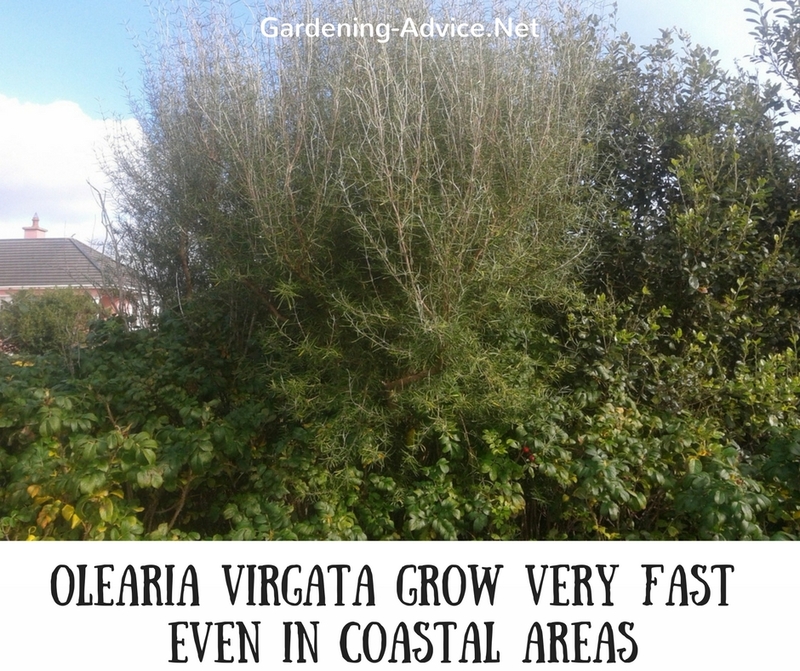 These bushes can grow up to 4 m high and work very well in exposed seaside gardens. This extremely fast growing shrub has rosemary-like silvery foliage that is evergreen. They have an upright habit and make very elegant tall shrubs if grown on their own. 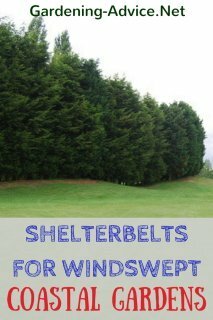 In windy areas, they are best staked and pruned hard for the first few years. They can be pruned very hard - nearly down to the ground. Privet is very fast growing. The oval-shaped leaves are dark green. The flowers are white and scented and appear during the summer. They are followed by black berries in the autumn. This plant is deciduous. Privet is best planted from bareroot plants during the winter months. For a dense hedge plant them 2 ft apart.